The owner of the store and at the same time the data administrator is the company Mineral Guard Europe Sp. z o.o. based in Stanisławów Pierwszy, ul. Jana Kazimierza 279 lok. 3, 05-126 Stanisławów Pierwszy, entered into the Register of Entrepreneurs of the National Court Register maintained by the District Court for the Capital City of Warsaw in Warsaw, 14th Commercial Division of the National Court Register under the number KRS 0000651694, with a share capital of PLN 50,000, NIP: 536-19-25-609, REGON: 366065438, hereinafter referred to as Mineral Guard. Mineral Guard exercises special care to respect the privacy of customers visiting the Online Store. § 1 How do we collect data? Mineral Guard collects information on natural persons conducting legal transactions not related directly to their business, natural persons conducting business or professional activity on their own behalf, and natural persons representing legal persons or organizational units that are not legal entities to which the act grants legal capacity, conducting business activity on its own behalf economic or professional, hereinafter referred to collectively as customers. Customers’ personal data is collected when customers place an order in the Online Store. While using the Online Store, additional information may be downloaded, in particular: the IP address assigned to the client’s computer or the external IP address of the Internet provider, domain name, browser type, access time, type of operating system. Clients may also collect navigation data, including information about links and links in which they decide to click or other activities undertaken in our Online Store. § 2 How do we use the collected data? If a purchase is made in the Store, personal data may be transferred to the courier company in order to deliver the ordered goods. The navigation data can be used to provide customers with better service, statistical data analysis and adaptation of the Online Store to customer preferences, as well as the administration of the Online Store. The Online Store uses small files, called cookies. They are saved by the Mineral Guard on the computer of the visitor to the Online Store, if the web browser allows it. A cookie file usually contains the name of the domain it comes from, its “expiration time” and an individual, random number identifying this file. Information collected by means of files of this type help adjust products offered by Mineral Guard to individual preferences and real needs of people visiting the Online Store. It also gives the opportunity to develop general statistics of visits to the presented products in the Online Store. session cookies: after completing a session of a given browser or turning off the computer, stored information is removed from the device’s memory. The mechanism of session cookies does not allow the collection of any personal data or any confidential information from the client’s computer. permanent cookies: they are stored in the memory of the Customer’s end device and remain there until they are deleted or expired. The mechanism of persistent cookies does not allow the collection of any personal data or any confidential information from the client’s computer. Mineral Guard uses its own cookies in order to properly configure the Store, and in particular to remember the history of websites visited in the Store in order to recommend content. Mineral Guard uses external cookies in order to present the Reliable Certificate Regulations via the rzetelnyregulamin.pl website (administrator of external cookies: Rzetelna Grupa sp. o.o. with the seat in Warsaw). The cookie mechanism is safe for the Customers of the Online Store. In particular, this way it is not possible to get viruses or other unwanted software or malicious software onto your computers. However, in their browsers, Customers have the option of limiting or disabling access of cookies to computers. If you use this option, the use of the Online Store will be possible, in addition to the functions which, by their nature, require cookies. Mineral Guard can collect IP addresses of clients. An IP address is a number assigned to the computer of the visitor of the Online Store by the ISP. The IP number allows access to the Internet. In most cases, it is assigned dynamically to the computer, i.e. it changes every time you connect to the Internet and is therefore commonly regarded as non-person identifying information. The IP address is used by the Mineral Guard to diagnose technical problems with the server, create statistical analyzes (eg determine the regions from which we receive the most visits), as information useful in the administration and improvement of the Online Store, as well as for security purposes and possible identification of server burdens , unwanted automated programs to browse the contents of the Online Store. The Online Store contains links and links to other websites. Mineral Guard is not responsible for the privacy practices applicable to them. Personal data collected by Mineral Guard via the Online Store is processed in accordance with the Act of 29 August 1997 on the protection of personal data (Dz.U.2016.922). 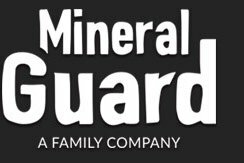 Only authorized employees of Mineral Guard have access to personal data of Customers collected via the Online Store. Customers’ personal data may be transferred to other entities on the basis of legal provisions or consent expressed by the Customer. The list of entities referred to in the previous sentence is indicated in the paragraph: “How do we use the collected data?”. Mineral Guard provides customers with uninterrupted access to their personal data and the possibility of modifying them at any time. The customer has the option to delete personal data from the data set. Mineral Guard may refuse to delete the Customer’s data if this has violated the Online Store’s regulations, and the retention of data is necessary to clarify these circumstances and determine liability, in particular, the Mineral Guard’s investigation of claims from a given Customer.